Did you know, approximately 10% of Americans suffer from kidney stones at some point? That’s right. 1 out of 10 people. Those odds are great if you’re playing the lottery, but not ideal when we’re talking about a painful medical condition. If you haven’t had one yourself, you likely know someone who has. They are hard deposits of minerals and salts that develop in the kidneys. (1) They vary in size from as small as a grain of salt to as big as a pearl. (2) They’re well known because they are severely painful to pass. In addition, if someone in your family has suffered from kidney stones, you are more likely to develop one. Other factors that can heighten your risk for developing kidney stones include: sodium-rich diets, obesity, metabolic disorders, and certain medical conditions. Kidney stones that stay put in the kidney can cause a dull ache, blood in the urine, or in some cases, no pain or symptoms at all. However, when a kidney stone moves from the kidney, it can travel down to the bladder through the ureter (the tube that passes urine from the kidney into the bladder). In these cases, the kidney stone can sometimes become stuck in the ureter and block the pathway which can cause severe pain. Typically, pain from kidney stones starts in the back and sides and in some cases it radiates around to the abdomen and into the groin. What do I do if I have one? Call Virginia Urology at 804 – 330 – 9105. We can make an appointment to properly diagnose you and explain the options for your individual case. The treatment will depend on your stone’s size and location. Some kidney stones are small enough to pass at home and do not require direct medical intervention. Your doctor may be able to prescribe medications to reduce pain and promote the passing of the stone. While painful, passing a small stone usually doesn’t cause lasting damage. Other kidney stones are too large to pass on your own, and in those situations your case may require surgery. Fortunately, in many cases, the surgeons at Virginia Urology can intervene on an outpatient basis using minimally invasive or endoscopic treatments. It’s important to note that if you have an obstructing stone combined with a urinary tract infection you may develop a fever, chills, and body aches. These cases are medical emergencies and you should not delay treatment. How do I prevent a recurrence? Unfortunately, if you have suffered from a kidney stone before you are at an increased risk to develop another. However, your urologist can offer you lifestyle recommendations that can help to prevent reoccurrence. Your doctor will determine your individual risk factors and recommend a plan that is customized for you. Hydration is the primary way to avoid developing kidney stones. 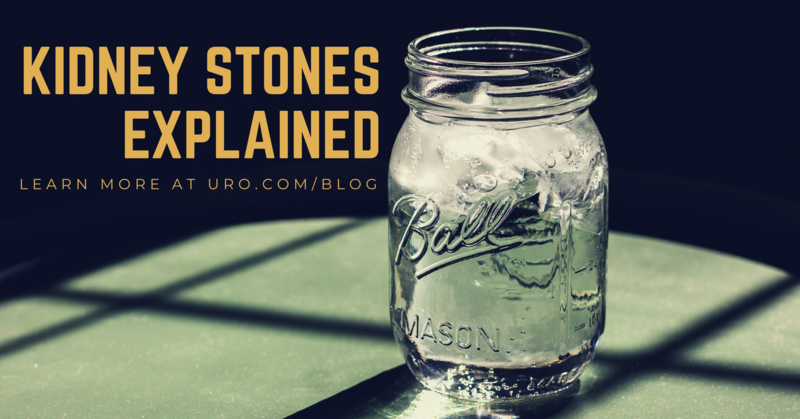 Because low urine volumes can be a risk factor for developing stones, drinking plenty of water is crucial to prevention. Your doctor may also recommend that you limit your consumption of oxalate containing foods depending on the cause of your particular case. Kidney stones are a pain, literally. But fortunately they are treatable. Call us to make an appointment – the specialists at Virginia Urology can help you every step of the way.